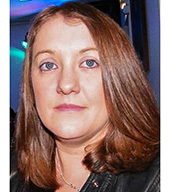 I am a very experienced therapist with over 15 years experience, I am working with the IAPT team with the NHS. I have worked in many other settings over the years. I am also working in schools and with Arc counselling service. I feel it is very important to offer a counselling approach that enables you to get your thoughts and feelings out into the open and into a place that you can trust, be safe and not feel judged. Special rates for Counselling Students £35 - please ask. Also evening appointments for an added £5.00 after 5pm. I have a 24 hour cancellation policy. If I receive notice of cancellation more than 24 hours before appointments there is no charge, but for same day cancellations you maybe be charged the full fee, and the full fee for sessions unattended without notice. Also debt management counselling available and work based counselling. Please just ask for appointments.